I’m a big (big!) 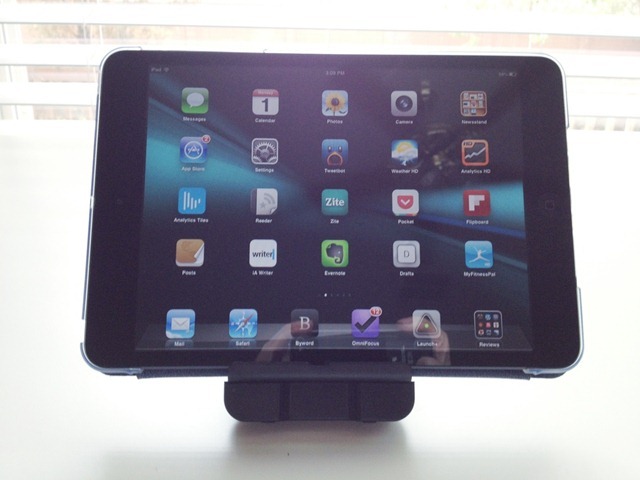 fan of iPad stands – and when I first saw the iSlider iPad Stand I thought it looked quite promising. Rain Design, the makers of the stand, were kind enough to provide me with a review unit, and I’ve been using it for several weeks now. 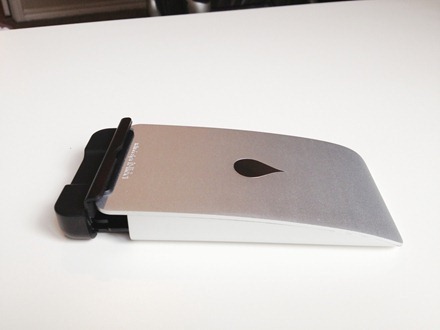 With a unique sliding design, iSlider stand is easy to carry, use and keep. 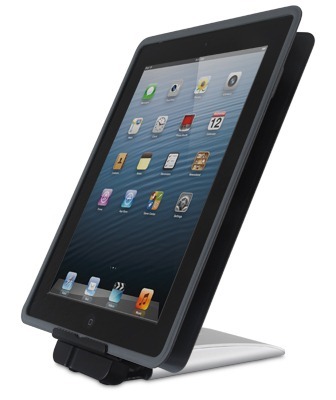 Simply slide out its base, adjust to your preferred viewing or typing angle and put on your iPad. 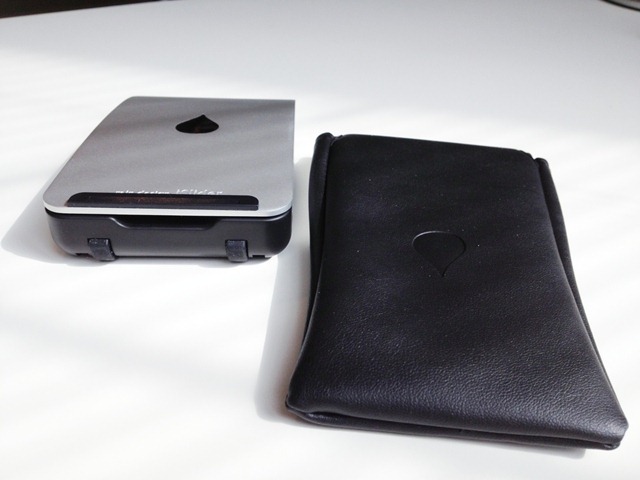 iSlider’s aluminum casing serves as a firm support and protection, while looking sleek with its streamlined profile. The stand is quite light, weighing in at just 0.5 pounds. It’s compatible with the iPad (all generations) and the iPad mini, and supports both portrait and landscape orientations. — The iSlider really is very compact and portable. It doesn’t take up much space at all if you’re throwing it into a gear bag or a sleeve style case for the iPad with a pocket for accessories. It even fits comfortably in the pocket of a pair of jeans or shorts. And it comes with its own little carrying pouch too. 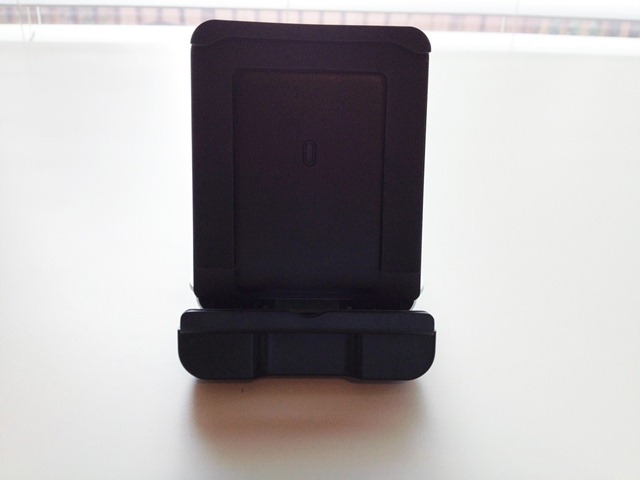 — The stand has a minimal footprint on your desk or wherever you choose to use it. When an iPad is in it, you hardly even notice it’s there. 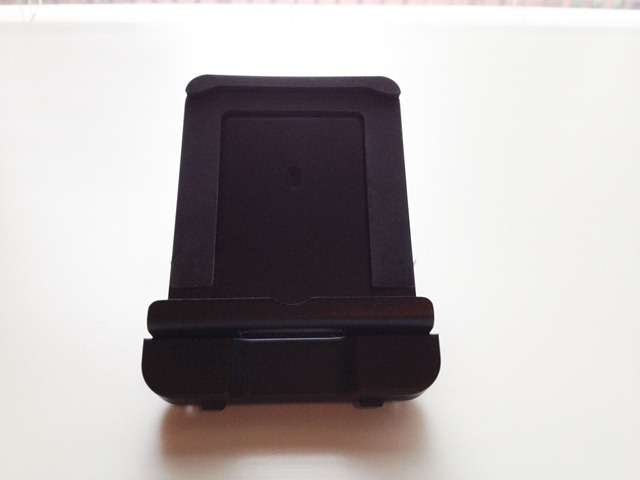 — The sliding design works very well. It slides out, back in, and into various angles very easily. It offers good angles for both viewing and typing while in the stand. — The stand works well with the iPad and a Smart Cover, the lovely VersaCover case for the iPad mini, and likely with quite a few other slimline iPad cases. I always think it’s a great bonus when you don’t have to mess with removing cases in order to get the iPad into a stand. — On first sight I thought this stand might be a little flimsy, since it’s so diminutive. That’s not the case at all. My iPad mini and iPad 3 both feel good and solid and secure when they’re in it. The iSlider iPad Stand is an excellent all-rounder stand for the iPad and iPad mini. As in, it’s great to use on a work desk and also sleek, compact and perfect for taking along with the iPad when you’re out and about. It has become my joint favorite iPad stand, alongside the trusty Just Mobile Encore iPad Stand. To see more details or place an order, check out the iSlider product page. Disclosure: The post author was provided with a review unit of the iSlider by Rain Design. For information on our review policies please see our About page. Nice post, great images thanks for sharing…..